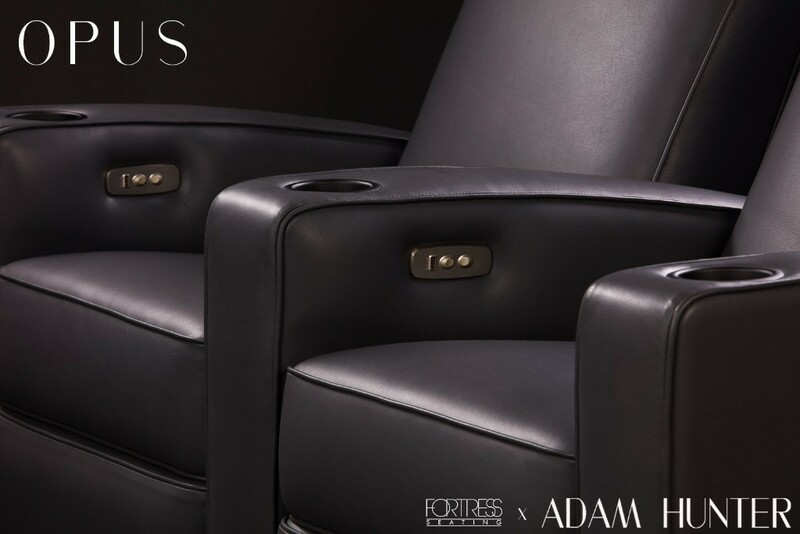 Making its debut at CEDIA 2018, FORTRESS is proud to introduce to you, an Adam Hunter design, the Opus theatre chair. 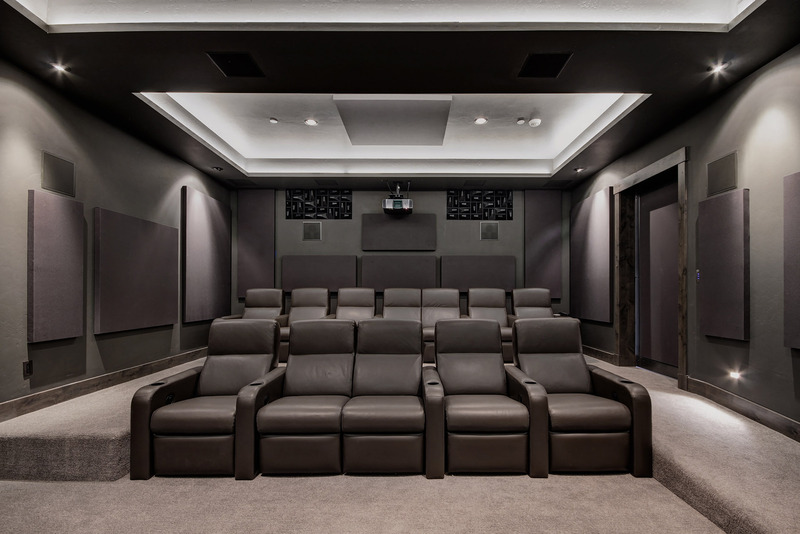 The Opus theatre chair is making movie night chic. 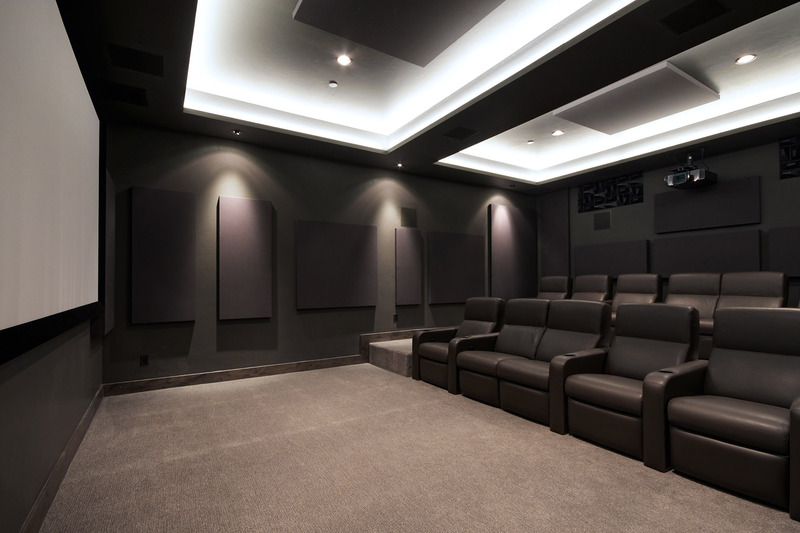 Gone are the bulky arms and chunky look of traditional theatre chairs. 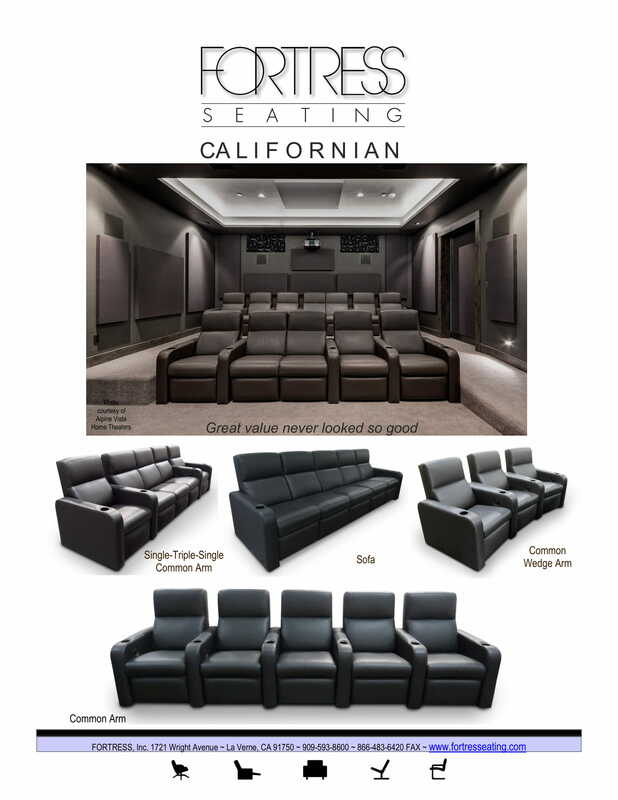 La Verne, CA & San Diego, CA (Sept. 4-8, 2018) —FORTRESS, Inc.®, leader in home theater, media room, and corporate seating, announced today that being presented alongside some of its most popular chair models, the company will also be debuting the Opus theatre chair, an Adam Hunter design. 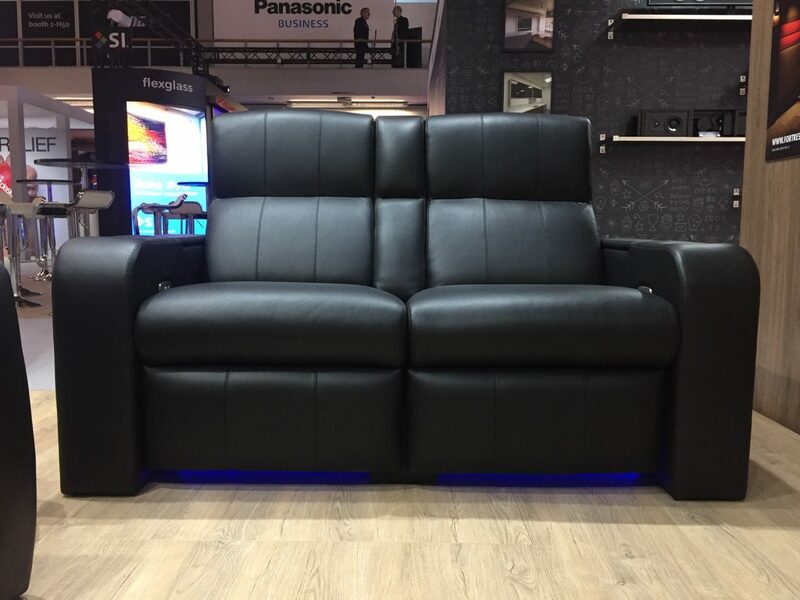 Without sacrificing comfort or luxury, the slim frame and subtle leather makes the Opus a stand-out piece in home entertainment. But don’t stop there. This chair is equally at home in the living room or family room or wherever supreme comfort is waiting to meet great design. 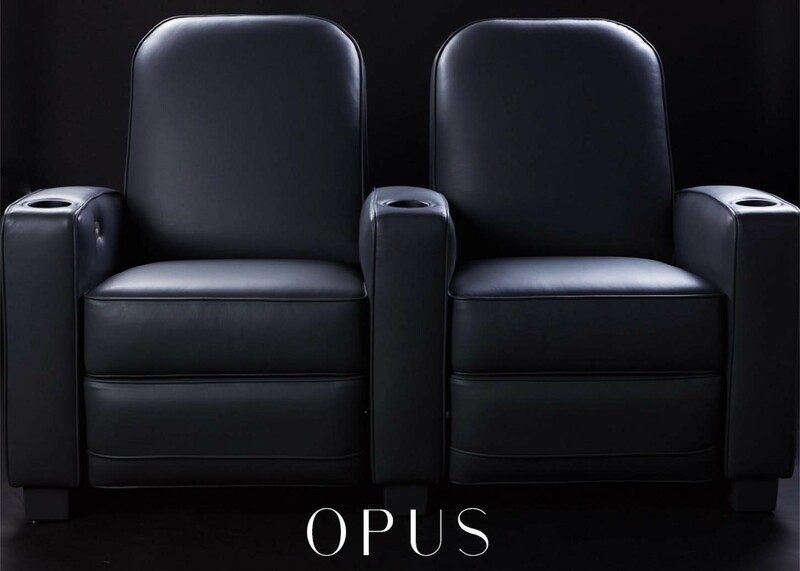 ”The Opus theatre chair is also incredibly tech savvy, which is imperative in everything I design,” remarked Adam Hunter. 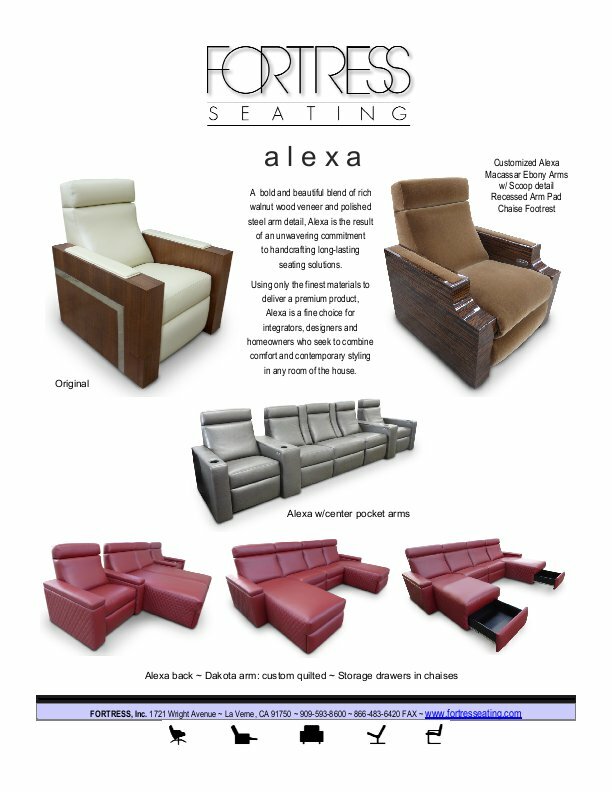 ”In-arm controls and USB connectors mean that the chair can cater to almost every whim”. ”My career started in Broadway theatre, so the Opus is an incredibly personal project. 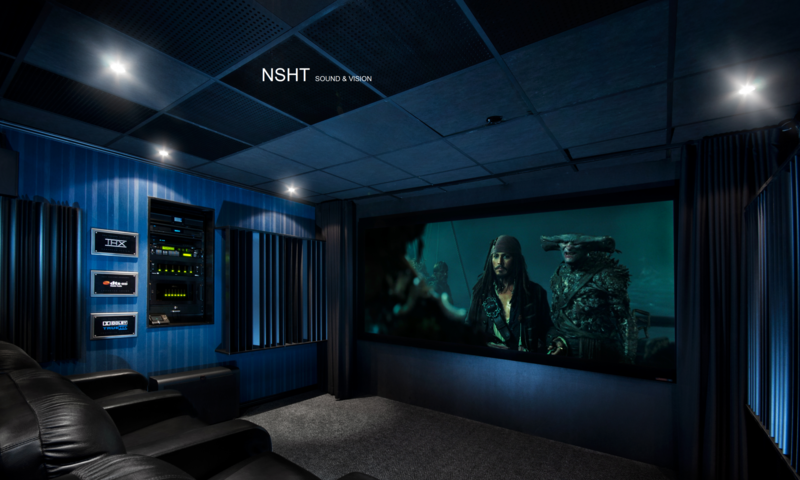 I wanted to bring the beauty of great aesthetics and great design to a theatre setting. For me, the delight is in the details,” continued Adam. Finally, a media chair that matters. 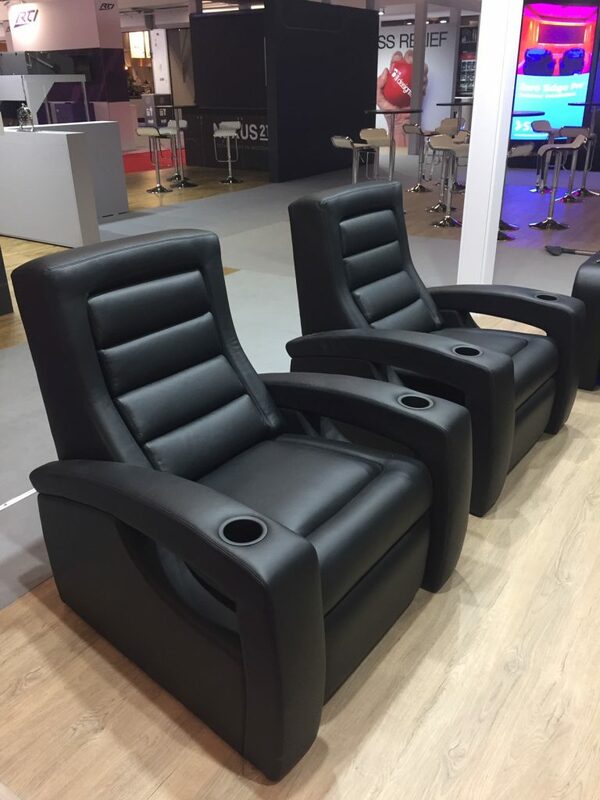 You won’t want to miss seeing this chair in person so please come take a test drive at Booth 3129. 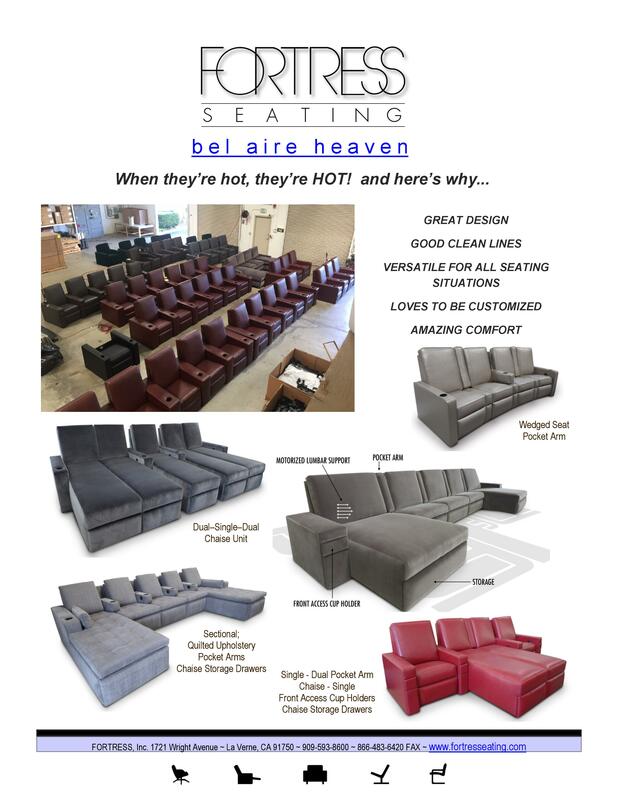 FORTRESS Seating is one of the few companies in the industry that manufactures their own chairs. 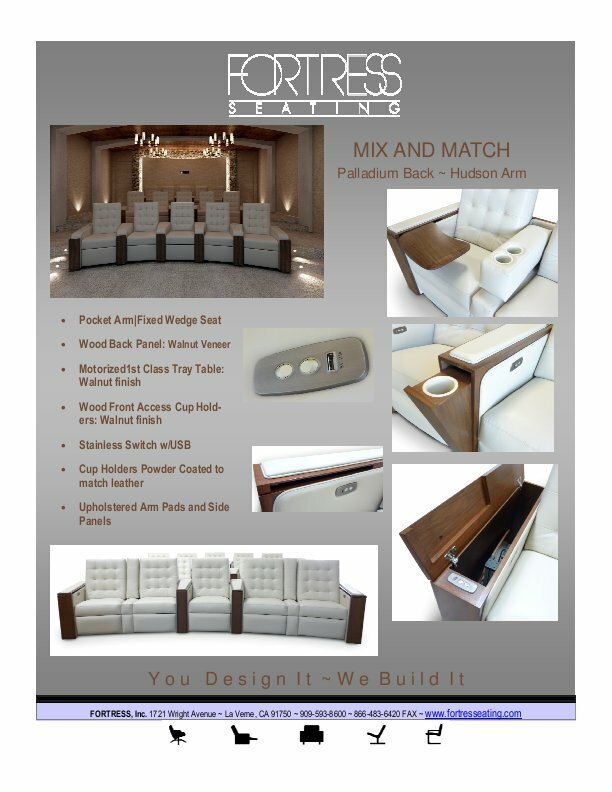 Working with a prime manufacturer, like FORTRESS, gives the client and the integrator the flexibility to customize the seating anyway they like. 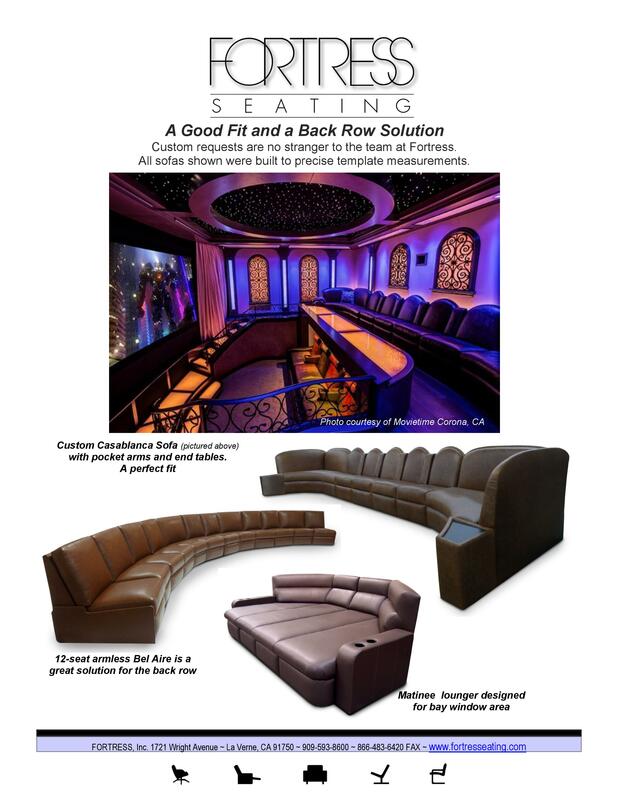 Whether it’s following a particular curve in the room, creating a custom design, or incorporating some of our one-of-a-kind accessories, FORTRESS is here to help. Function and design are FORTRESS trademarks. 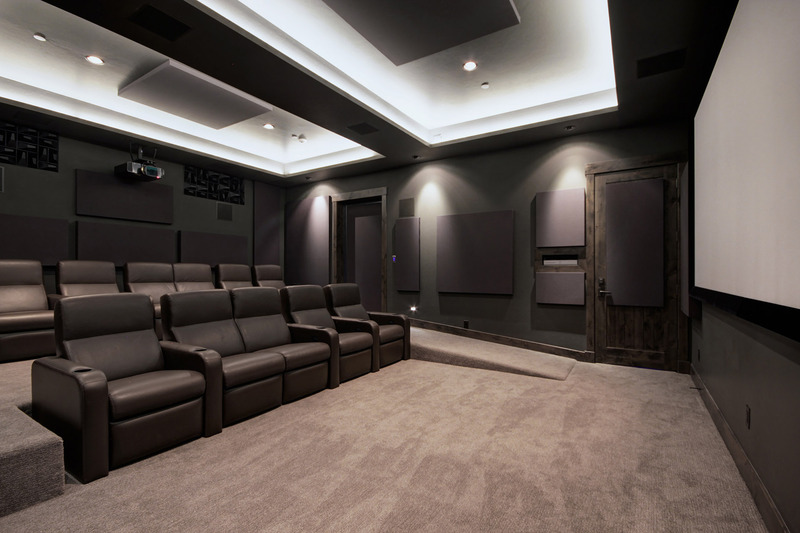 Founded in the 1930’s and based near Los Angeles, California, FORTRESS, Inc. is an award-winning manufacturer of handcrafted upholstered furniture and home theater seating. 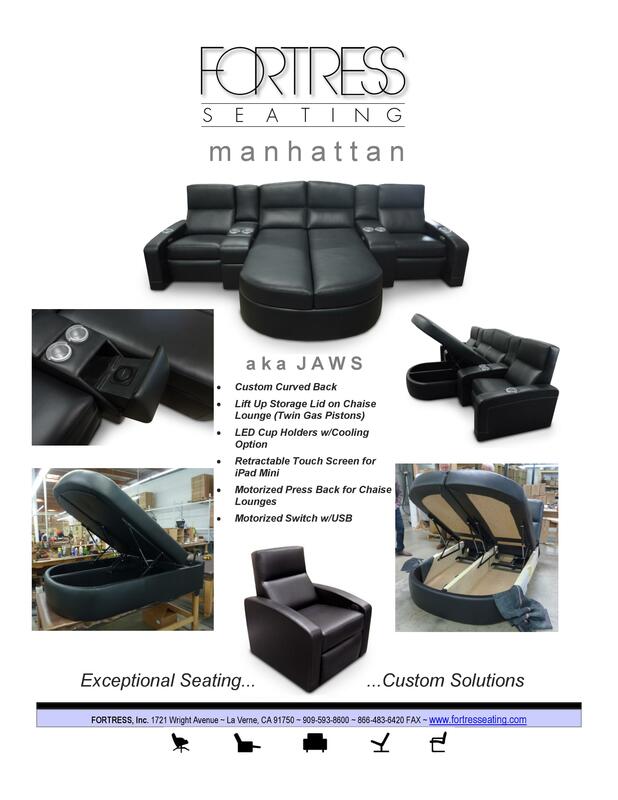 Delivering exceptional seating solutions for home and business that address and resolve the most demanding requirements, FORTRESS sets the standard for innovative design, complete customization, and exceptional fit and finish. 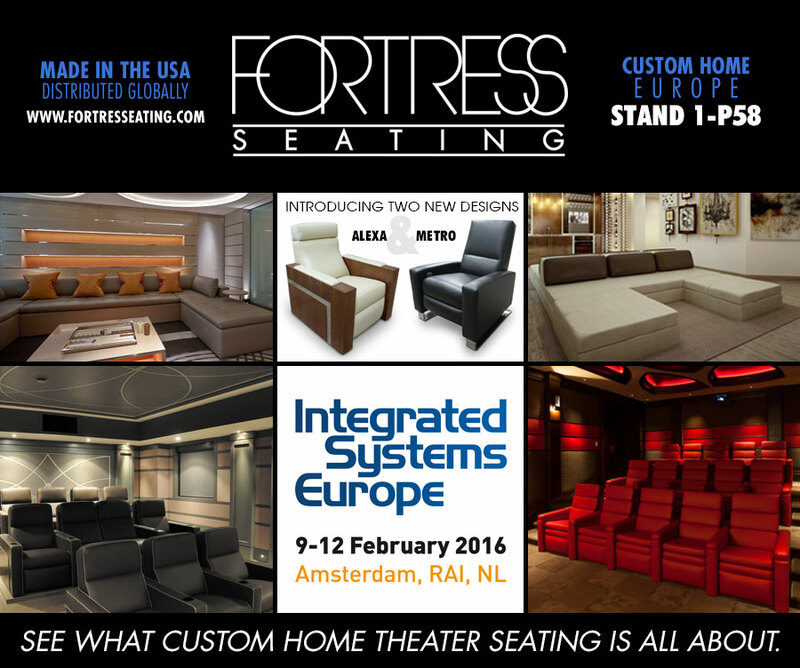 When off-the-shelf seating is not the answer, FORTRESS has the solution. 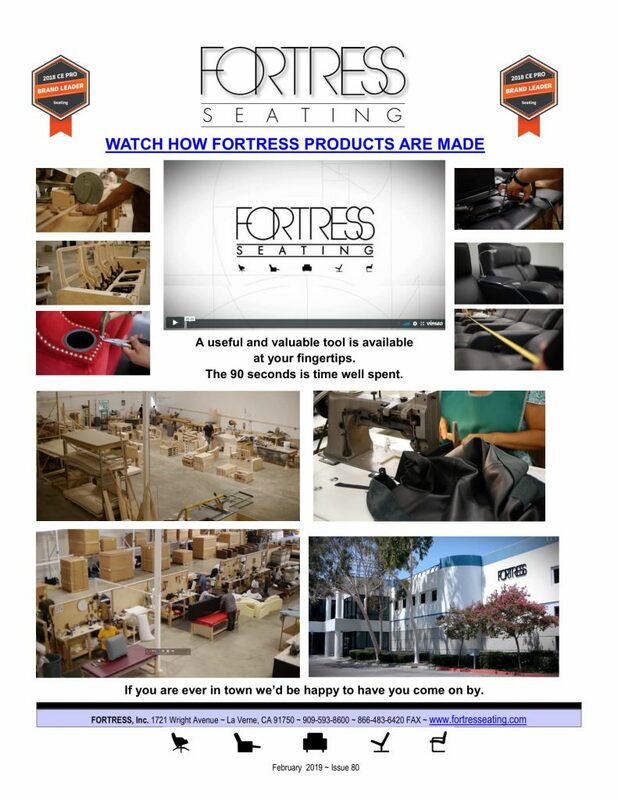 Those interested in learning more about FORTRESS, Inc. are encouraged to view the www.FORTRESSeating.com, and follow @FORTRESSSeating‬‬‬‬‬‬‬ on Twitter and ”Like” FORTRESS on Facebook. 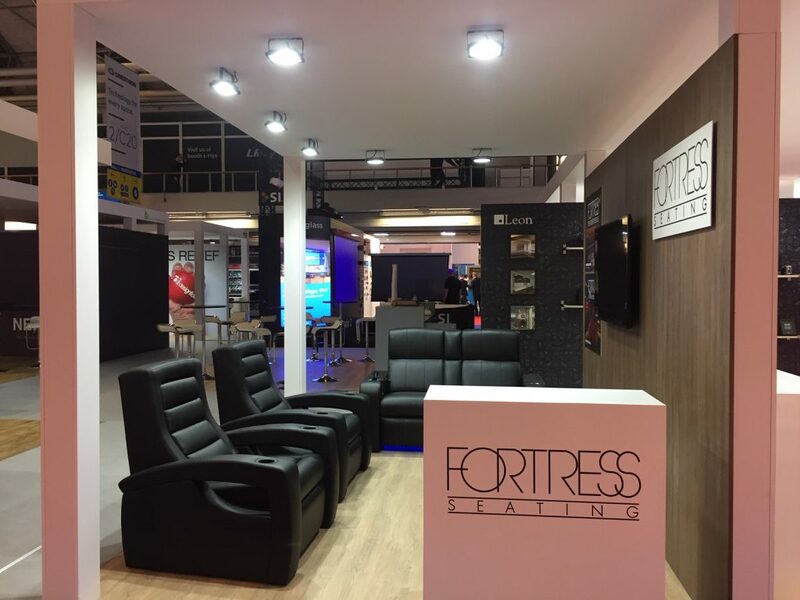 Fortress News: New & Improved Website ! 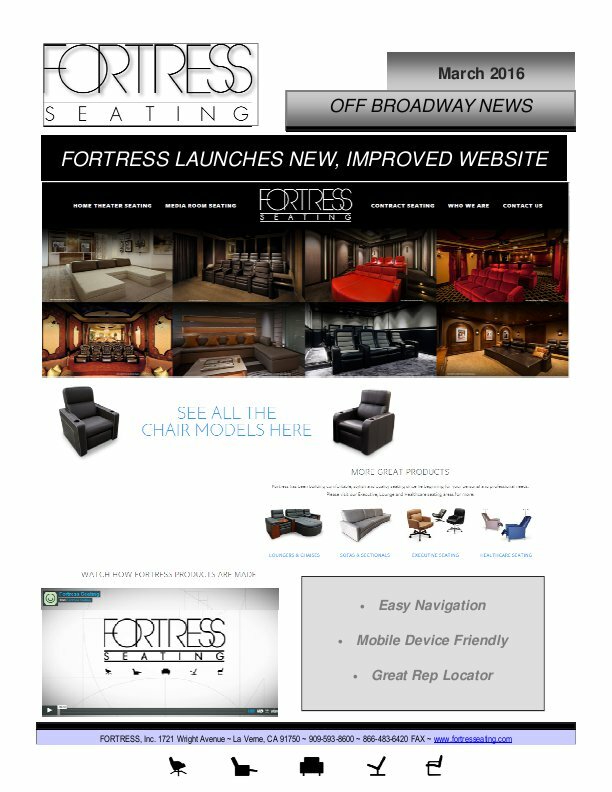 We’re pleased to announce that Fortress just launched their newly revamped website: www.fortresseating.com. The new site is now completely mobile friendly and has lots of great new content including numerous product images and installation shots.